The second to last Diamond League meeting is today in Zurich. Weltklasse Zürich will be held at Letzigrund Stadium, and today’s featured track. This is a fairly new, multi-purpose facility that just opened a few years ago in 2007. It has a seating capacity of 30,000 for track and field. 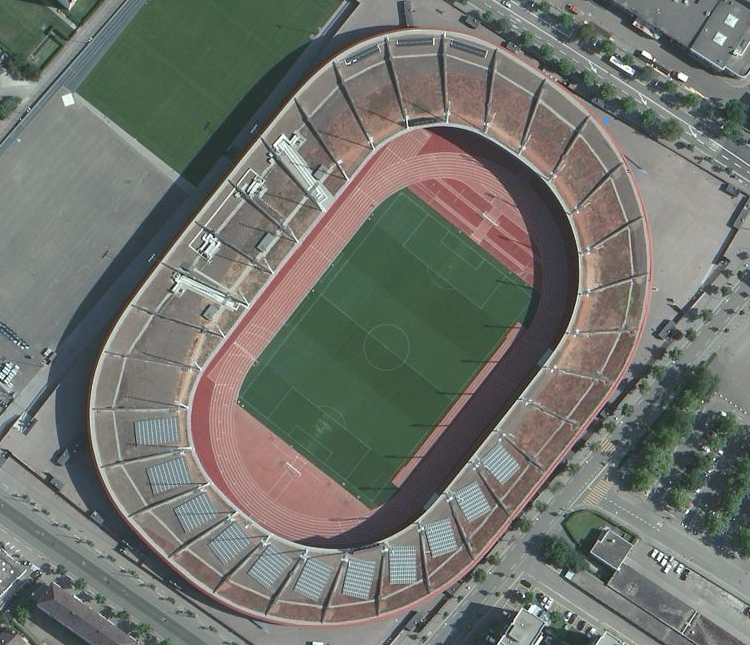 Because of the roof, it is hard to see how nice this stadium is in the satellite photo, so I’m including a couple others. Meet schedule and results are available HERE.